Details "Cuba Star T-Shirt Men kale green"
The red star is completely inspired by the revolution. 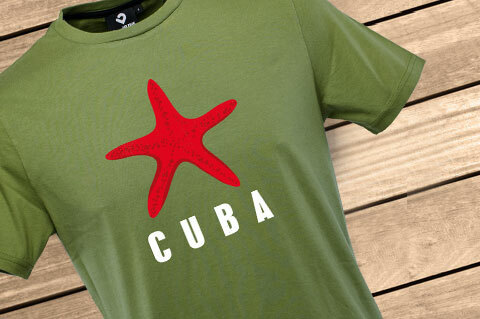 Our iconic Cuba Star t-shirt for men with the funny red starfish reinvents the familiar style and catches the eye. The white "CUBA" -lettering in used look completes the alternative-Cuban flair. The kale green of the shirt is the perfect contrast to the seastar and fits to casual shorts, your sneakers and much more. 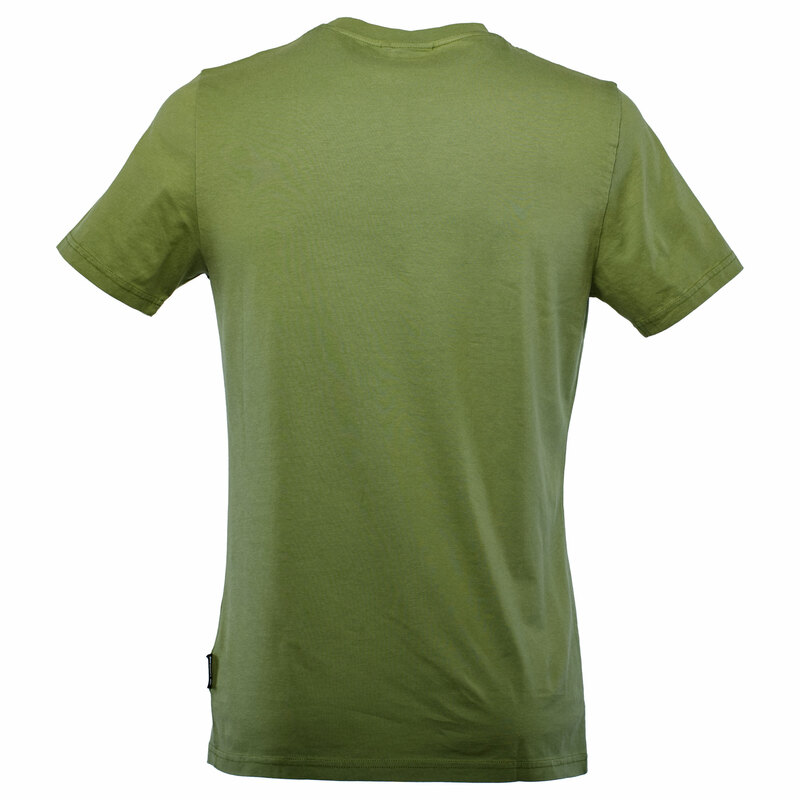 The loose fit and the soft fabric made from 100% organic cotton ensure a great wearing comfort. Up to size L, the shirt is slightly waisted. The round neck is a bit ribbed and reinforced so that it does not wear out. The frontprint has been printed in DTG process with 100% environmentally friendly water-based ink and is free of chemicals. 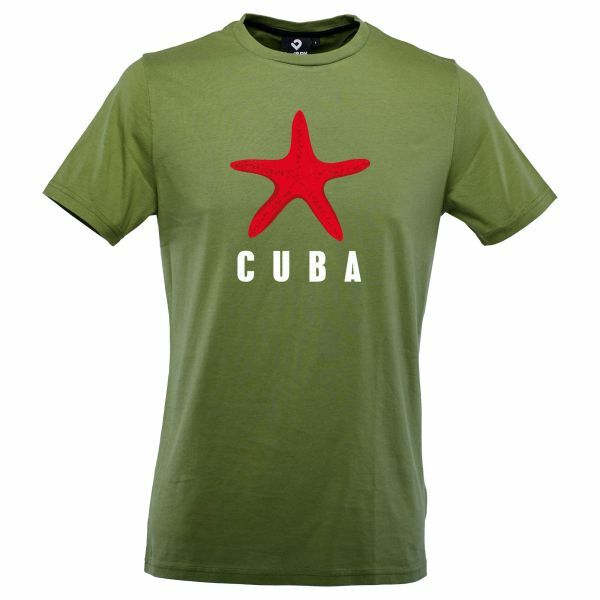 Customer evaluation for "Cuba Star T-Shirt Men kale green"
Sehr gute Qualität und Verarbeitung. Schnelle Lieferung wirklich OHNE jedes Plastik!